If you’re looking for delicious, tender turkey breast, without a lot of hands-on time in the kitchen, slow cooking is the answer. We do not recommend slow cooking a whole turkey, as it increases the risk of food-borne illness. 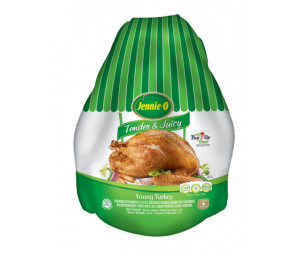 However, you can slow cook smaller amounts of turkey—like our JENNIE-O® OVEN READY™ Boneless Breast. 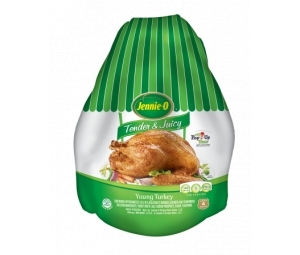 It even includes a cooking bag and doesn’t require any thawing, cleaning or seasoning. Tip: Cut down cooking time on Thanksgiving Day by roasting a small whole turkey in the oven and supplementing your feast with a slow cooked turkey breast. 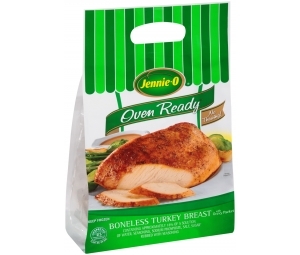 JENNIE-O® OVEN READY™ Boneless Turkey Breast is perfect for your slow cooker. Add ½ cup water to the bottom of slow cooker. Remove outer printed bag. Place turkey breast in cooking bag in the bottom of the slow cooker. Cut three ½ inch slits in the top of the cooking bag. 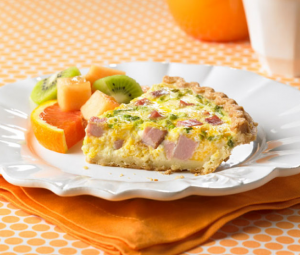 Cook for approximately 3½ hours with the slow cooker on HIGH setting or 5 hours on LOW setting. Always use a meat thermometer to take the internal temperature to ensure that the turkey breast is cooked thoroughly. Roast the turkey breast until a meat thermometer inserted in thickest part of breast reaches 165°F. Cut open the cooking bag and remove the turkey breast. Be cautious of hot steam and juices. Reserve the juices for gravy (if desired).